Sometimes it’s difficult to comprehend the sheer scale of the lying that goes on in a Parliament where the truth is meant to be sacrosanct and by politicians who claim they are purveyors of honesty and integrity. Despite their denial and faux outrage at the suggestion, it’s long been accepted that politicians now regard lying as an acceptable tool to use in the pursuit of power. The people on the other can be accused of lying and prosecuted for submitting an official form that contains inadvertent errors. 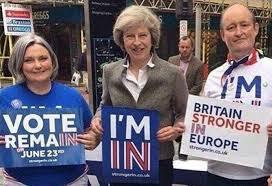 Their duplicity and contempt for the people is highlighted by the blatant lies that were shamelessly used by British Prime Minister, Theresa May, in her campaign to keep Great Britain locked inside the European Union while giving the impression of leaving. The vicar’s daughter and church goer has unequivocally stated ad nauseam that “Brexit means Brexit”, “no deal is better than a bad deal” and most deceitful of all “we will be leaving the European Union on the 29thof March 2019”. To understand the scale of her deceit I recommend watching this brief three-minute collage of Mrs. May’s lying and I would be surprised if anyone can watch the full three minutes before switching it off in disgust. Last week, having had her Withdrawal Agreement rejected by Parliament twice, she is going cap in hand to the European Union bureaucrats begging for Brexit to postponed from the 29th March 2019 to an unspecified date in the future.